Harbor Commissioners vote to forward proposal for permanent year-round anchorage in the Turning Basin to City Council. 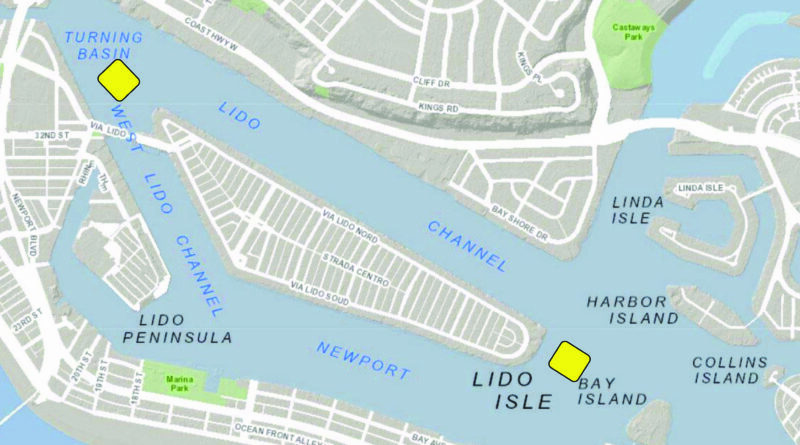 NEWPORT BEACH—Newport Beach Harbor Commission voted unanimously to review a proposal making the anchorage in the Turning Basin permanent year-round. Next steps include forwarding the proposal to the City Council for consideration. Commissioner Ira Beer mentioned that the demand for the anchorage is there and that there is a benefit to making the anchorage in the Turning Basin permanent. The public in areas surrounding the Turning Basin as well as stretching down to Lido Village were surveyed and only one written complaint had been received. In the email, it was stated that there were some concerns about noise from passengers and other issues, but overall it was a mostly supportive tone, Commissioners William Kenney and Paul Blank stated. Comm. Chair Kenney went on to read the email at the Harbor Commission meeting on Feb. 14. A few of the notable complaints brought forth in the email were that the anchorage might block the way of safe navigation, issues with enforcement, noise, light pollution, sewage and waste products, and that it may interfere with events such as the annual Christmas Boat Parade. Before the details of the email had been revealed, Comm. Beer read his alternations to the proposal, which mostly considered all points that had been a concern. Comm. Beer noted that while noise from passengers had existed during the trial anchorage, there was no complaint concerning noise pollution. As for interference with the Christmas Boat Parade, the harbormaster would be given the discretion to move or remove all buoy markers so that the anchorage would not obstruct an event. In some ways, the anchorage could address annoying issues that already existed. In the past, locals had complained about the commercial charter vessels that have stopped in that area even though it was prohibited. By making the anchorage permanent, the charter vessels would no longer have the opportunity to stop since the anchorage would block the location, causing traffic on the waterways to continue flowing or risk blocking a passage. In the proposed anchorage area, around 10 to 12 vessels could potentially fit at a time depending on the size of the vessels. No funding would need to be raised for establishing permanent anchorage.